German watchmaker David Lowinger made its debut last year with a wristwatch featuring a hand-made movement that was based on the Unitas 6498. The origins of the movement were readily identifiable in its layout and size. Now Mr Lowinger has taken a major step forward and moved on to the Series 2 wristwatch, a form watch with a regulator-style dial, making for an altogether distinctive look. The Series 2 watch is powered by the cal. DL-S2R, a hand-wound movement that has 17 jewels and a 50 hour power reserve. 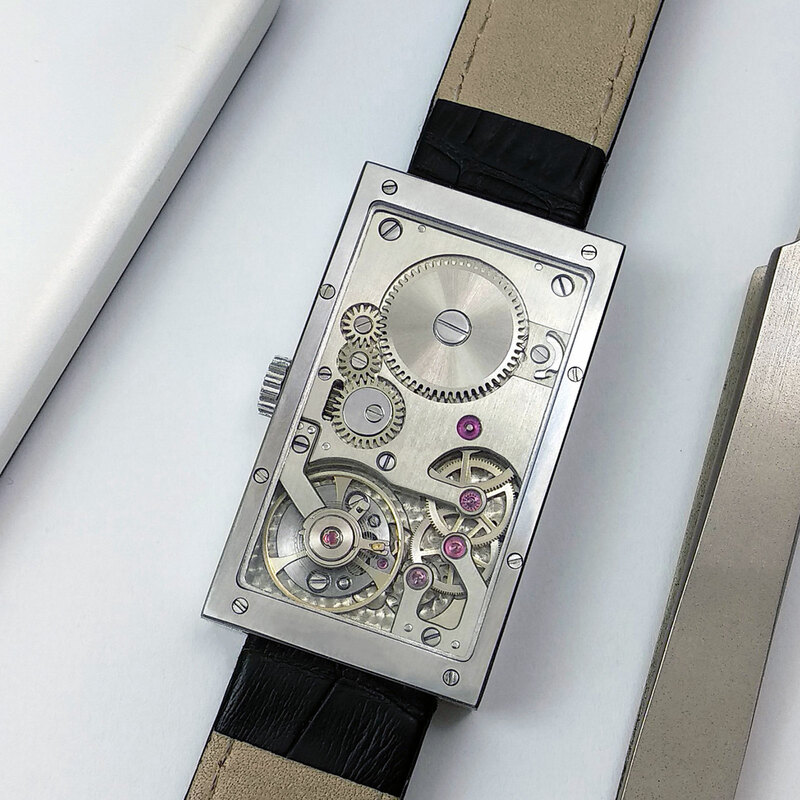 Although it relies on part of the going train, regulator and escapement from a Unitas movement, Mr Lowinger has substantially revamped the layout for the new shape, while also producing many of the the components himself with a manual milling machine and lathe. 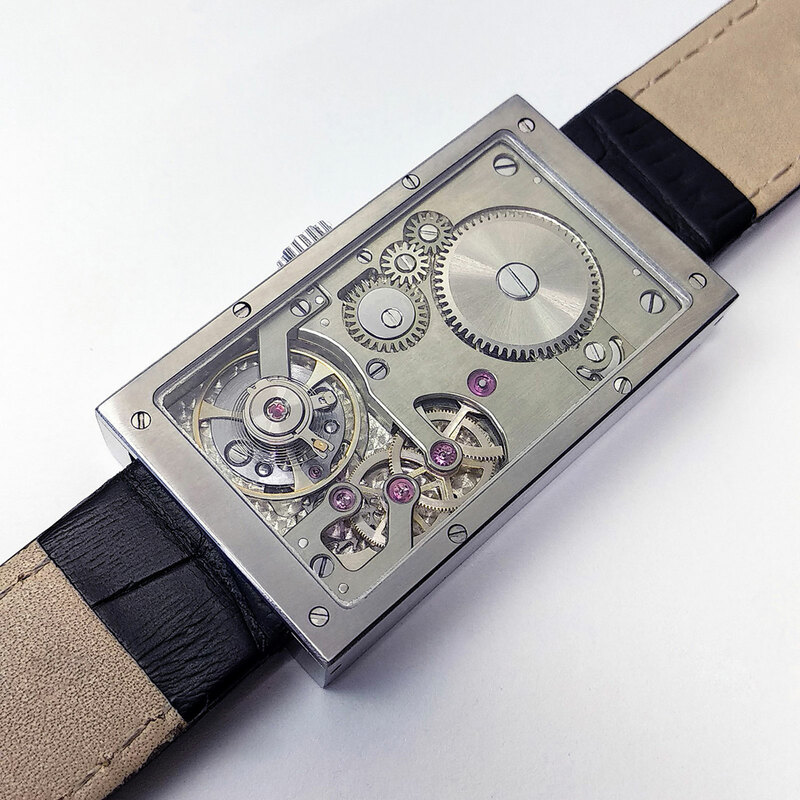 Constructed so the components on the dial sit on different levels, the movement is intended to have a three-dimensional appearance, while also revealing as much of the mechanics as possible. The hours are indicated on the sub-dial at 12 o’clock, while the minutes are below; it does not indicate the seconds. 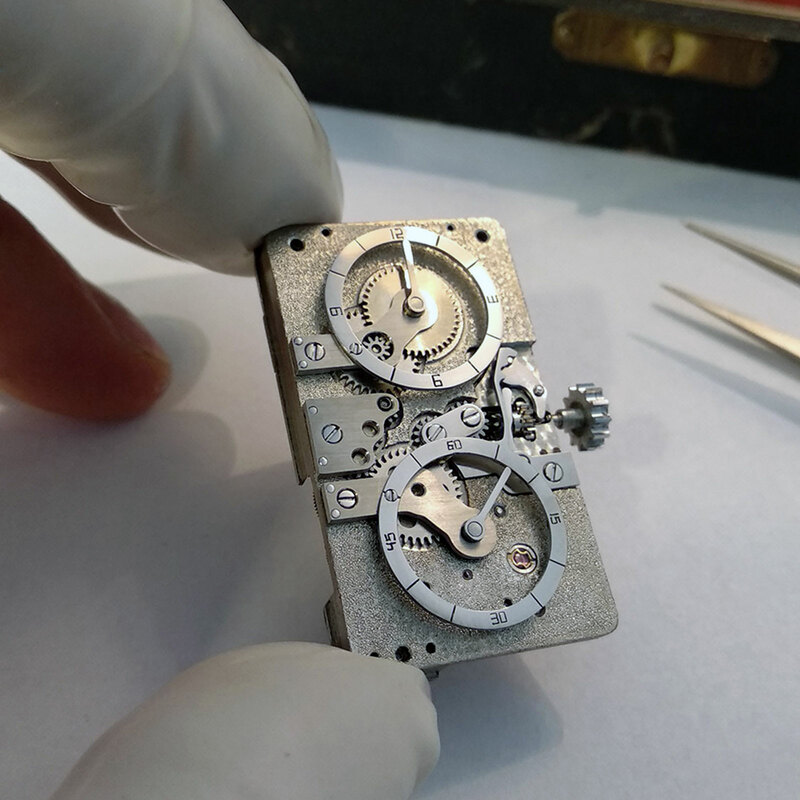 The markings on each of the chapter rings for the hours and minutes are engraved with a manual milling machine, meaning the tool tip is guided manually, explaining the “boxy” form of the numerals according to Mr Lowinger. The base plate and bridges are German silver. On the front the base plate has a granular, hand-hammered finish – requiring about 30,000 hammer strikes says Mr Lowinger – while the bridges visible on the back are straight grained. Altogether 55 parts are produced by Mr Lowinger, including the bridges, winding click, as well as some of the wheels, pinions and screws. The hour wheel, cannon pinion and minute wheels are also hand-made by Mr Lowinger. As for the parts that are taken from the Unitas, Mr Lowinger refinishes all of them by hand. 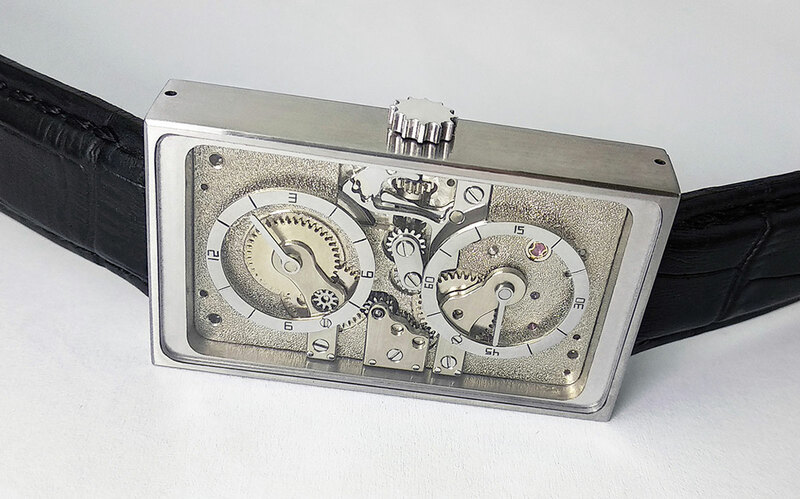 The case is stainless steel, and measuring 26mm wide, 45mm long, and just 9mm high. 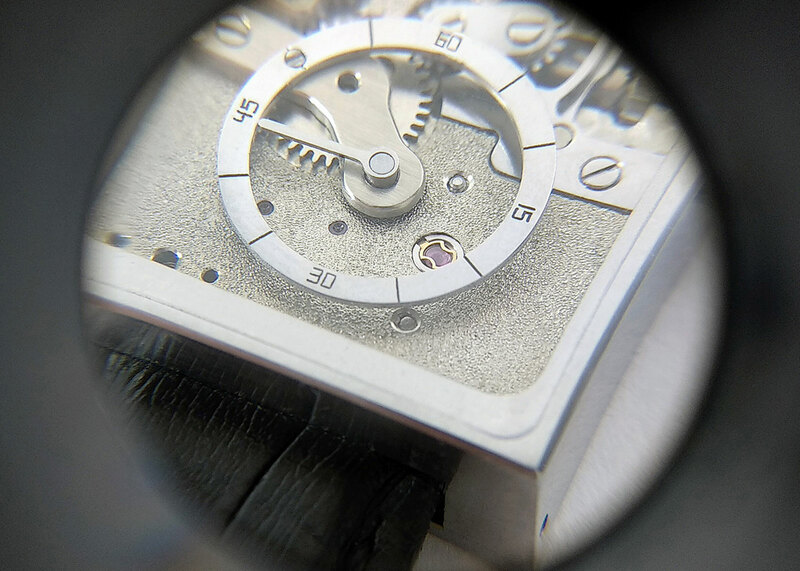 All of the edges (both lateral and vertical) of the case are chamfered by hand, much like a movement bridge is. 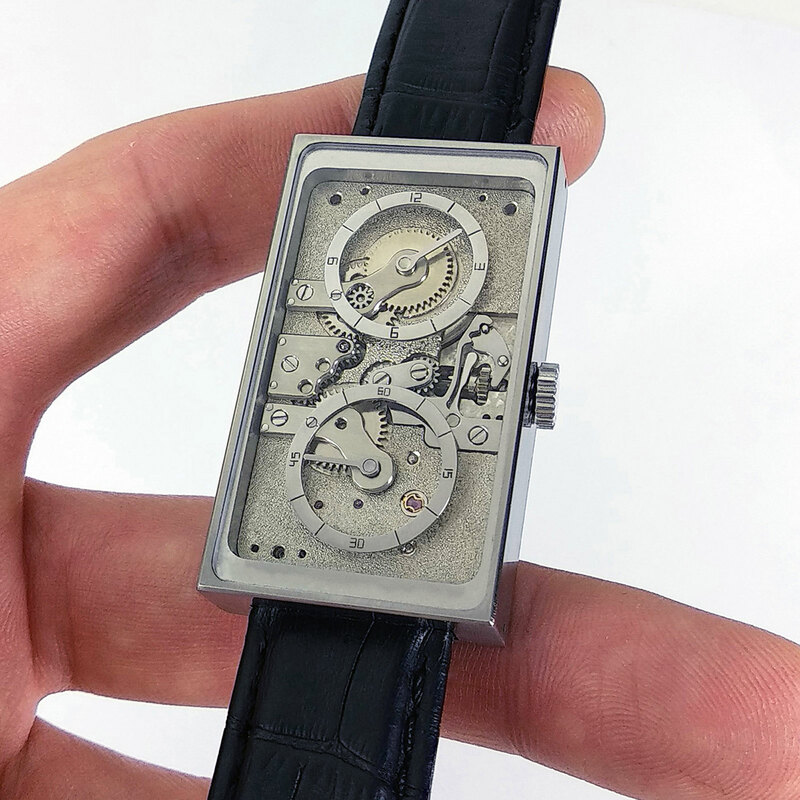 The watch pictured here is a prototype, and the final product will be more refined in terms of finishing, while also having some minor design tweaks. The David Lowinger Series 2 is priced at €18,500 before taxes. Production will start at the end of 2019, with delivery taking 3-4 months from the order date. Various customisation options are available, including blued steel hands, different movement finishing, as well as precious metal cases. The watch is available direct from David Lowinger.